POLITICAL INCIVILITY is as American as Mount Rushmore, and probably as old. Thomas Paine vilified George Washington as "treacherous in private . . . and a hypocrite in public," while Abraham Lincoln, as Harper's noted in 1864, was publicly reviled as "Despot, Liar, Thief, Braggart, Buffoon, Usurper, Monster." Politics, as Mr. Dooley said, ain't beanbag. But in our political discourse since 2000, malice has become ubiquitous. 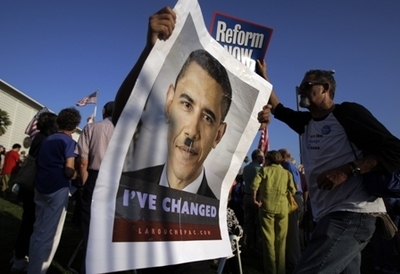 George W. Bush's critics endlessly compared him to Adolf Hitler. Radio host Glenn Beck mused on-air about "killing [filmmaker] Michael Moore." Sandra Bernhard ranted that Sarah Palin was a "whore" to be "gang-raped." Televangelist Pat Robertson called for the assassination of Hugo Chavez. University of Colorado Professor Ward Churchill characterized the 9/11 victims who died at the World Trade Center as guilty "little Eichmanns." From Michael Savage on MSNBC urging a gay caller to "get AIDS and die, you pig," to the banner at a San Francisco peace march proclaiming "We support our troops when they shoot their officers," there seems to be no limit to the venom and coarseness that mark contemporary political culture. Why such nastiness? There is no single reason. 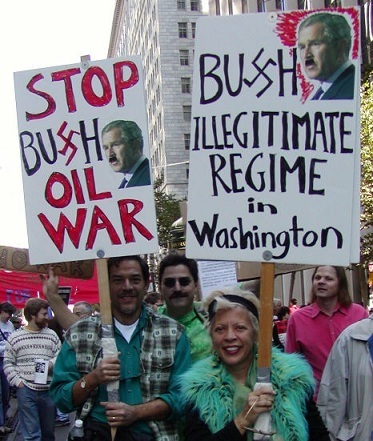 The bitter aftermath of the 2000 election undoubtedly accounts for part of it. So does the extreme polarization of the two political parties. There is also the rise of the internet, which enables anyone with a computer to spread invective far and wide, and the explosion of TV and radio outlets, with their ceaseless quest for programming that attract audience interest. Gross and abusive rhetoric was a hallmark of the 2000s. As the odometer turns, I shudder to think how low public discourse will go in the 2010s.